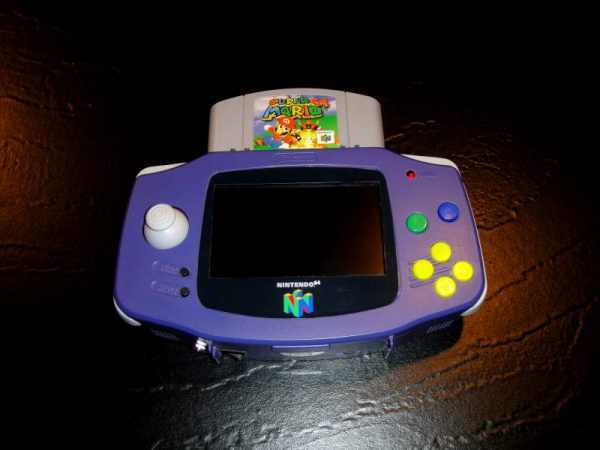 Has anyone got one of these?, it says you get 80 built in games what are they?, it would be cool if Nintendo would make one of these but they make to much money selling the older games on the eshop so its unlikely, also a Dreamcast version would be amazing! i have an older version of this console, with wired controllers and far less games built in. the sound emulation is somewhat off in some of them but gameplay remains good. the console i have, the older version is very light, doesnt have a lot of weight to it at all but as a cheap alternative to getting a mega drive its alright. though some cartridges in my one wont work at all. characters become a mess of pixels. only happened in a hand full of games i own though. I want! Where is this? danbish wrote: I want! Where is this? There have been a few others made over the years that have gone up on ebay if I remember rightly, so you just have to be in at the right time really. That's my favourite looking one by far, and I think it sold for about £60? I can't remember that well in all honesty apart from thinking "THAT'S REALLY COOL!" Ahhh, shame. There's no way I'd attempt something like this as I'd be too afraid in case I'd bugger it up and wreck the whole lot. Never mind, maybe someday I'll have something like that. Yeah, same I'd probably just electrocute myself an awful lot if I attempted it. is it a problem with the buttons or the wireless strength? I have a slightly older version where it has about 20 megadrive games built in and then a cart with like 40 rubbishy games... I paid £15 for it in a sale, it doesnt compare with an actual megadrive ...some games work well on it but others are just crappy, and the sound is way way below par. I would recommend just getting a real megadrive.... I messed around with mine for a day then slung it in a draw. I bought one off Play Asia years ago for £20. As toffeeman says: avoid. Avoid like the Plague. Emperix wrote: I bought one off Play Asia years ago for £20. I've no idea why they're actually selling (and selling out at that) because they're terrible. The sound is awful and they run games considerably slower. You'd be better off buying a Raspberry Pi and running a software emulator. Even the new £4 Raspberry Pi Zero will run better than this bit of tat. My local bowling alley actually has one of these hooked up in their bar area, and I thought I'd give it a go. Can't comment on the sound as I couldn't hear it, but the controllers are pretty ropey (couldn't get the second one to work at all) and there is a bit of a delay between pressing buttons and action on screen. If you own a 360 or PS3, I would heartily recommend the Sega MegaDrive Ultimate Collection instead. The sound thing well its bad but in a way I am not surprised that it is .... Have you ever sat down with a bunch of megadrives and tried them one after another ? In basic there is the Model 1 version - the only one to include volume control slide switch for the stereo sound output. It is also the easiest to perform modifications on it for regional bypasses, overclocking, LED change and S-Video output. Model 2 - The Smaller, simplified design. Stereo output included in the A/V outputs and no volume control for the sound. A cut down model. Model 3 - Even smaller, harder to hack, not compatible with Sega CD or 32X. A really really cut down model. Its not that simple though the old Model 1 or original genesis/megadrive type is not actually one type at all though, get a bunch and open them up and you will see its basically one type of shell the components in that shell can wildly differ, things can be soliderd in diffrent places and the chips can be diffrent.... there are actually people who look for specific types of megadrive with very specific sets of chips, because they sound better or do this or that a little better. kerr9000 wrote: The sound thing well its bad but in a way I am not surprised that it is .... Have you ever sat down with a bunch of megadrives and tried them one after another ? I didn't know the Model 1 megadrive's innards varied that much. But yeah, I definitely noticed some performance differences between my Model 1 MD and my brothers model 2 version, some games seemed slower or sounded slightly different but I always assumed it was probably just that I had a better TV in my room. There's a movement for SEGA to get back into the console business proper with a Dreamcast 2, download marketplace for indie devs, et al. They're apparently hoping for Shenmue bloody 3 on there as well. To be honest, I don't think it;s happening because it would mean SEGA would have to sever the ties with Sony, Microsoft and Nintendo it's made that could potentially keep it afloat in the most dire of situations. And I ain't having no Atlus games taken away from me! Yeah I seen that Dreamcast 2 thing, the people behind making the petition (where all these fake 'rumours' come from) and spreading it don't seem to get how mass production works. You can't make something like a console in small volumes and expect to sell them cheap (or even 'competitively priced'), that's the opposite of how that works.